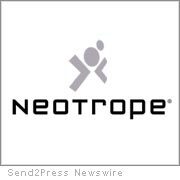 TORRANCE, Calif. — Neotrope(R), a brand identity, PR, and marketing firm established Jan. of 1983, announced today the 2009 Non-Profit PR Grant Program recipients: those non-profit organizations chosen to receive free public relations and newswire services. Neotrope previously donated $25K worth of services in 2000, and $22K in 2005. This year, services are being donated by Neotrope to worthy smaller non-profit and charitable organizations to celebrate the company’s 25th anniversary. There were 546 “qualified” applicants this year, nearly double prior years, but only ten were chosen for this PR Grant program. The deadline to apply was extended from November 12 to December 7. All qualified applicant organizations were also entered into a drawing to win a new One Laptop Per Child (OLPC) notebook, and will be offered additional services without cost. The value of the PR Grant services to be donated will vary by organization, with a total value of more than $25,000. Children Awaiting Parents (www.ChildrenAwaitingParents.org) is dedicated to finding loving adoptive families for children waiting in foster care. We advocate nationally for adoption by bringing attention to the children, by promoting interest among people who could become permanent adoptive families, and by encouraging adoption friendly policies. We serve children across the United States. Starlight Children’s Foundation (www.starlight.org) helps seriously ill children and their families cope with their pain, fear and isolation through entertainment, education and family activities. We offer entertainment programs that boost spirits, reduce the need for pain medication, and provide distraction therapy; educational programs that help sick children understand common medical procedures, manage their illnesses and develop coping strategies; technology-based programs that connect isolated, sick youth with their peers and enable them to keep up with their schoolwork; and family events that allow sick children and their families to relax, have fun, and reconnect outside the hospital environment. Project SEED, Inc. (www.projectseed.org) is a 45-year old organization, founded in Berkeley, which successfully augments mathematics instruction in primarily low-performing public schools. The instructors are math specialists, who use a Socratic questioning pedagogy, to teach supplemental lessons in advanced mathematics in elementary and middle school classrooms. The regular classroom teachers learn dynamic teaching techniques for improving students’ participation and understanding. Rigorous external evaluations regularly show significant improvement on standardized mathematics achievement scores. Project SEED’s mission is to put young, low-income students on a pathway up and out of poverty, toward high school graduation and college. We prepare them for careers that require knowledge of the advanced mathematics we introduce and for careers that require problem solving and critical thinking skills. Girls Write Now (www.girlswritenow.org) is New York’s premier creative writing and mentoring organization for high school girls. We are a community of women writers — authors, editors, educators, journalists, playwrights, publishers, advertising and PR professionals, literary agents and more — on a mission. Through our core mentoring program, our goal is to provide a safe space for New York City’s high school girls to develop their creative, independent voices, explore careers in professional writing, and learn how to make healthy choices in school, career and life. The Paws of Life Foundation (PoL) is dedicated to the education of search and rescue (SAR) dogs and their handlers. PoL (www.pawsoflife.org) works with responders at the local levels to assist with dog placement and training to become a reliable and valuable resource for law enforcement and public safety agencies in the case of lost or missing persons. When someone you care about goes missing, these are the people your local sheriff, police chief or fire department calls to assist in the search. We find working dogs, either through animal shelters or donation, and place them in search and rescue K9 programs nationwide. We also provide training, coaching and a “library” of knowledge and resources. Paws of Life was established in 2003 and works diligently to plan programming areas and develop a strong base on which to move forward. Our dogs have been placed with local search and rescue teams, law enforcement for drug dog use and with one FEMA Urban Search and Rescue Team. Recently Newhouse (www.newhouseshelter.org) celebrated 37 years of service to the poorest citizens in the metro area who are victims of domestic violence. With a mission to break the cycle of domestic violence by providing the tools that allow women to make positive choices and lead self-sufficient lives, Newhouse is located in the urban core of Kansas City, Missouri; uniquely positioning Newhouse to address an otherwise disenfranchised population. Newhouse takes a comprehensive approach to meet the needs of the women and children who turn to Newhouse for emergency shelter and for relief from the crushing distress of domestic violence. World Savvy’s (www.worldsavvy.org) mission is to educate and engage youth in community and world affairs, to prepare them to learn, work and live as responsible citizens in the global community. In our increasingly interconnected world, students need global literacy skills; including knowledge of other countries and foreign cultures, as well as the ability to synthesize information and draw connections across subject disciplines to succeed in personal and professional endeavors. In classrooms, workplaces and neighborhoods, we constantly interact with people from different backgrounds and cultures, and must learn to live and work cooperatively. More importantly, as future leaders, young people must learn to collectively navigate and address the world’s most pressing problems. Special Equestrians (www.specialequestrians.org), a Forbes Enterprise Award winner, is a non-profit therapeutic riding program located in Warrington, Pennsylvania, serving Bucks, Montgomery, Philadelphia, and surrounding counties. Founded in 1982, Special Equestrians has grown from a one horse, one rider, and one volunteer program to a thriving organization with 9 horses, 18 staff members, and over 100 active volunteers, who served 142 children and adults with various emotional, mental and physical disabilities last year. Our clients come to us with more than 60 different physical and cognitive challenges including Cerebral Palsy, Spina Bifida, Down Syndrome, Muscular Dystrophy and Autism Spectrum Disorder. Our riders represent diverse ethnic and socio-economic backgrounds. 80 percent of our clients are children. Barnabas International, Inc. (www.biijax.org) exists to love and encourage live-alone-at-home senior citizens enabling them to live longer, healthier, more grace and purpose filled, independent lives. We engage seniors in team-oriented community service opportunities to give them fulfillment and to aid more than 30 non-profit organizations in our community. We transport the seniors via a 26-passenger bus to the non-profit, supply age-appropriate service tasks, provide a nutritious lunch and return transportation. The mission of the Museum of Photographic Arts (www.mopa.org) is to inspire, educate and engage the broadest possible audience through the presentation, collection, and preservation of photography, film and video. Since its founding in 1983, the Museum of Photographic Arts (MoPA) has been devoted to collecting, conserving and exhibiting the entire spectrum of the photographic medium. The museum’s endeavors consistently address cultural, historical and social issues through its exhibitions and public programs. The Museum of Photographic Arts is accredited by the American Association of Museums and is a member-supported, private, non-profit institution. The winner of the OLPC drawing is the Middle College High School National Consortium, Inc. (www.mcnc.us). Since 1983, Neotrope (www.neotrope.com) has been helping small-to-medium businesses and entertainment companies establish their brand and grow revenue. The Neotrope marketing team includes Christopher Laird Simmons, who is an award-winning designer, photographer, musician and digital artist. Other team members include accredited public relations professionals, working journalists and broadcast veterans. Simmons is a member of the Public Relations Society of America (PRSA), Graphic Artists Guild, and ASCAP. Simmons has been widely interviewed by publications as diverse as Entrepreneur, Chicago Post Tribune, PCWorld, and TrendWatch. Neotrope brands include Send2Press(R), California Newswire(R), Mindstock(R), eMediaKit(TM), and ContextEngine(R). Send2Press(R) offers best-in-class affordable Direct-to-Editors(TM) news distribution and alternative placement of news content to improve its “persistence” versus the traditional one-shot approach. In addition to sending news directly to working journalists, print and broadcast media, Send2Press (www.send2press.com) places news into social networks and deep into search engines using proprietary ContextEngine(R) press release optimization technology developed in 1997.